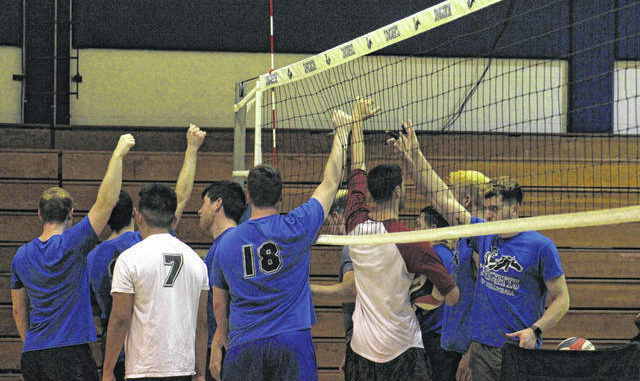 St. Andrews University’s men’s volleyball team huddles up before practice on Thursday. The Knights are heading to nationals for the second time in the program’s four-year existence. 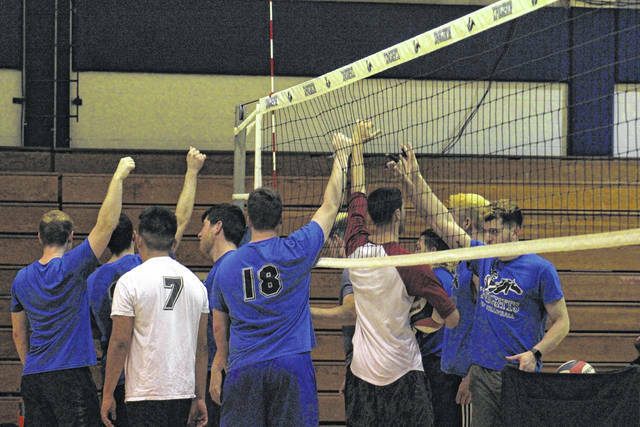 LAURINBURG — The St. Andrews University’s men’s volleyball team is heading to the NAIA National Championships for the second straight year. 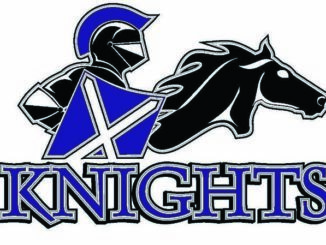 The eighth-seeded Knights depart Saturday for Des Moines, Iowa, where they will begin their tournament run with a match against second-seeded Lourdes University at 2 p.m. on Tuesday. Nine of the 10 players on this year’s roster made the same trip last season. The Knights were eliminated after losing all three of their pool play matches. Juniors Jacob DeSouza and Edgar Huerta both said the Knights have a better idea of what to expect this time around. They also said the team has strengthened its bond since their previous trip to nationals. The Knights recently cruised to a Mid-South Conference Tournament championship, just like they did last year. Based on last year’s nationals run, they know the road is only going to get tougher. DeSouza is an outside hitter and libero who prepped at Paloma Valley High School in California. 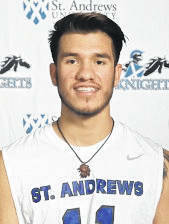 St. Andrews’ overall record is currently 20-5. They finished the season with an unblemished 15-0 mark in conference play. The Knights already have one more win than last season, when they finished 19-9. Those numbers represent a significant turnaround from the team’s inaugural season during the 2015-16 school year. The Knights finished 0-22 that season. 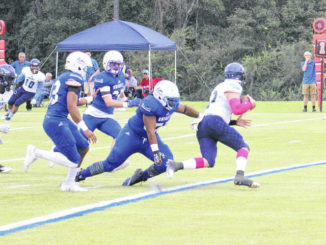 Under head coach Nick Rawls, the Knights have progressed into one of the top teams in the region. But advancing to nationals twice in the first four years of the program’s existence is just a small step for the Knights. They now want to prove that they belong on the national stage. DeSouza and Huerta are two of the team’s top attackers. 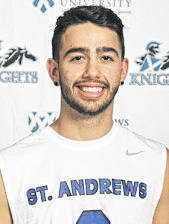 DeSouza leads the Knights with 219 kills this season. Huerta isn’t far behind him with 208 kills. Junior setter Jackson Stark tallies just over nine assists per game for the Knights. He also has 33 service aces, the second-highest mark on the team behind sophomore Daryn Friedman’s 48 aces. On defense, senior Carlos Rodriguez has a team-high 197 digs this season. That’s just over two digs per game. Senior Ben Twigger averages slightly more than one block per game. 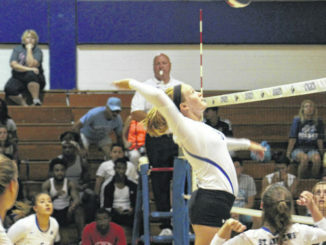 The Knights had enough talent to grab their second-consecutive conference title. Huerta said the team was satisfied with taking the conference crown last season, and everything else was “extra”. He said the Knights were shell-shocked when they saw how tough the competition was at nationals. That’s not the case this time around. Brandon Tester can be reached at [email protected] or 910-506-3170. Follow him on Twitter @BrandonTester.